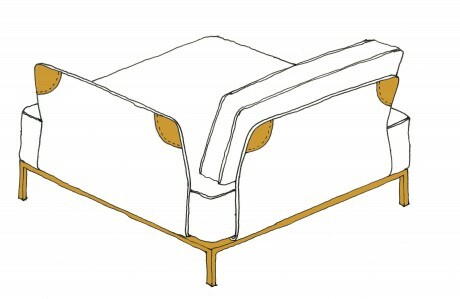 When I drew the sectional sofa Rejoin environmental thinking was a driving factor. 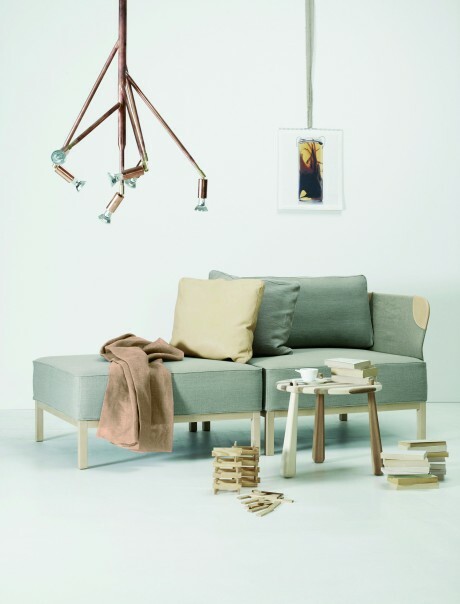 I wanted to create a sofa with a homely and embracing feeling and then I thought of my favourite cardigan, the one I inherited from my grandpa, lovely in wool with patches of leather. What protects against wear and tear, just like these leather patches do. 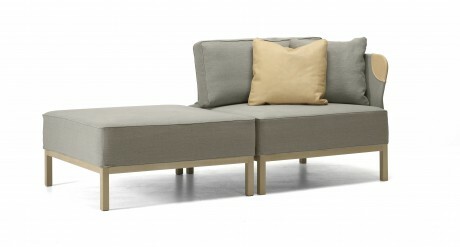 The sofa consists of modules that you link with a fitting. If you lose the fittings the moduls can easily be rearranged. The frame is made of solid matte varnished birch but is also available in black stain or black or white metal. 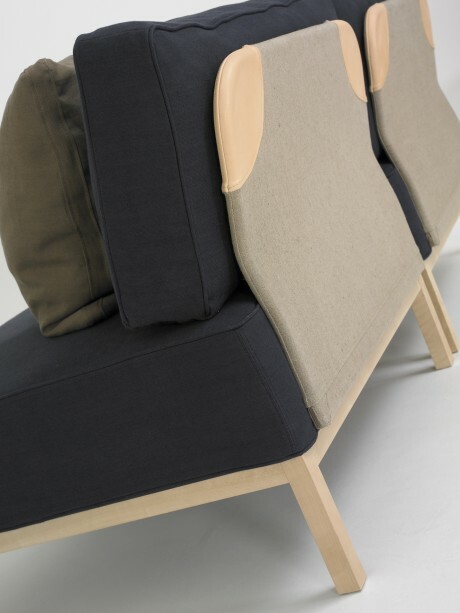 The back and armrests are upholstered with 100% flax and vegetable tanned leather from Swedish Tärnsjö. Name: Join and Rejoin built on the same frame, because of that similar name. The dimensions of a section 90 cm x 99 cm or 99 cm x 99 cm, depending on whether it has or doesn´t have an armrest. The height is 84 cm. 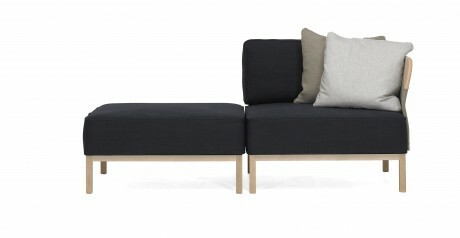 Price on a Rejoin-section is from 10,790 SEK-14,600 kr.